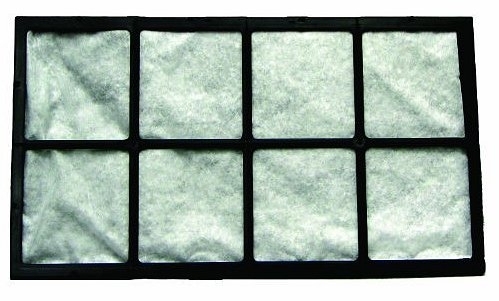 Approximate size of each filter: 18" x 10.5" x 1"
Traps irritating allergens within the filter. 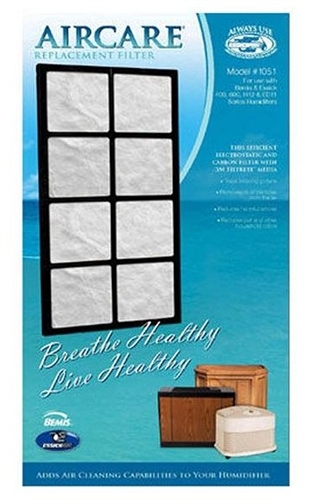 Removes dust particles from the air. 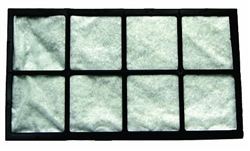 Activated carbon media removes odors from cooking, pets, and smoke. For use with Bemis and Essick Air 400, 600, H12 and ED11 Series Humidifiers. Genuine Bemis / Essick Air Original Equipment.